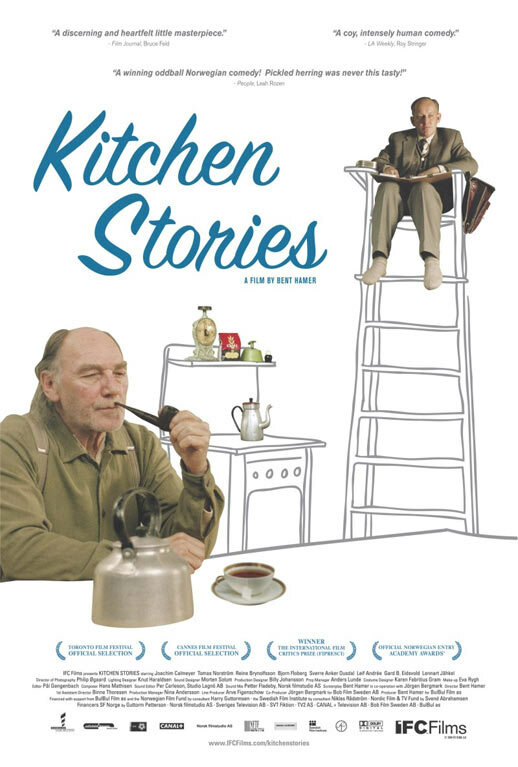 To add to my previous post: If you’re in the mood for a humorous take on the positivist Time-and-Motion studies employed by Lihotzky in her research for the Frankfurt Kitchen, I highly recommend the 2003 Norwegian comedy, “Kitchen Stories”. Set in 1950’s Norway, a team of Swedish efficiency researchers are charged with the task of observing Norwegian bachelors in their kitchens. High jinks ensue. Coming Soon: Yogurt. I promise. This entry was posted on September 28, 2010, 6:21 pm and is filed under inspiration. You can follow any responses to this entry through RSS 2.0. You can leave a response, or trackback from your own site.